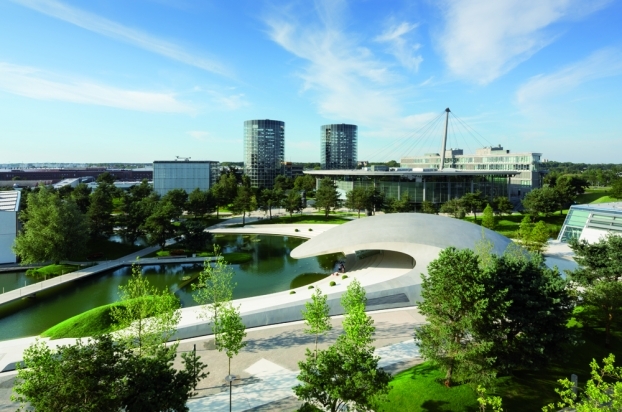 International architecture practice HENN has won the WAN Metal in Architecture Award 2015 for the Porsche Pavillon at Autostadt Wolfsburg, Germany. A matte-finished stainless steel cladding forms the flush envelope of the vibrant construction, creating the impression of a homogeneous unity and providing a continuously changing appearance depending on light and weather conditions. 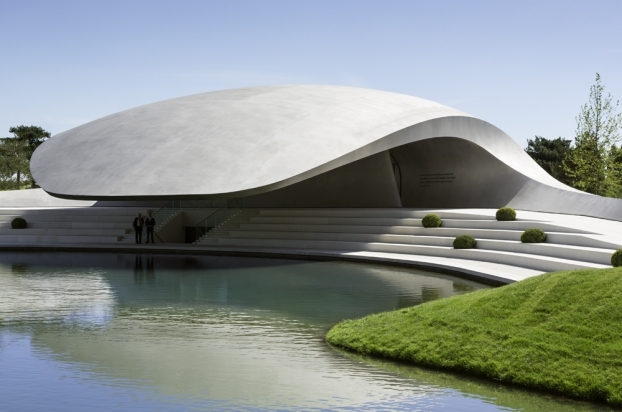 The new brand pavilion of the sports car manufacturer is presented as an organically shaped structure with a curved, softly gleaming roof construction. The entrance side protrudes out for a total of 25 metres above the lagoon’s water surface. Inside the pavilion is a concentrated space which opens out to provide a tangible experience of the sports car brand and its history. 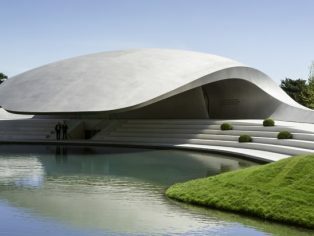 Under the large, asymmetrically shaped roof, a sheltered external space opens up with seats for several hundred visitors, being optically connected to the surrounding landscape and forming its own acoustic enclosure. 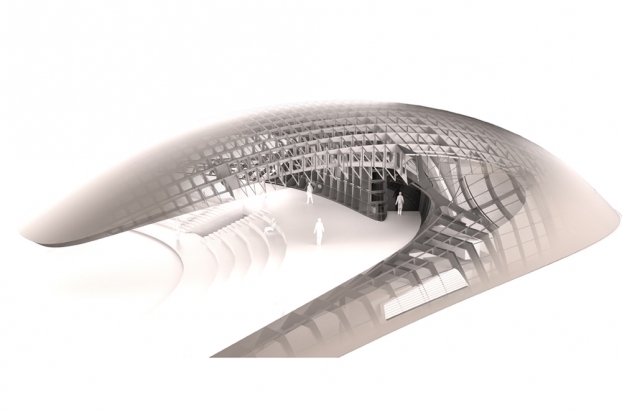 The architecture and landscape, interior and exterior, roof and facade are designed as a uniform, flowing continuum, while the exterior of the pavilion designed by WES Landschafts Architektur has been integrated into the overall concept of the theme park. Similar to the type of production used in lightweight construction in the automotive and aircraft industries, the space-forming building envelope assumes a supportive function. A total of 620 stainless steel sheets have been welded together with reinforcing ribs, prefabricated in a shipyard in Stralsund and assembled on site.